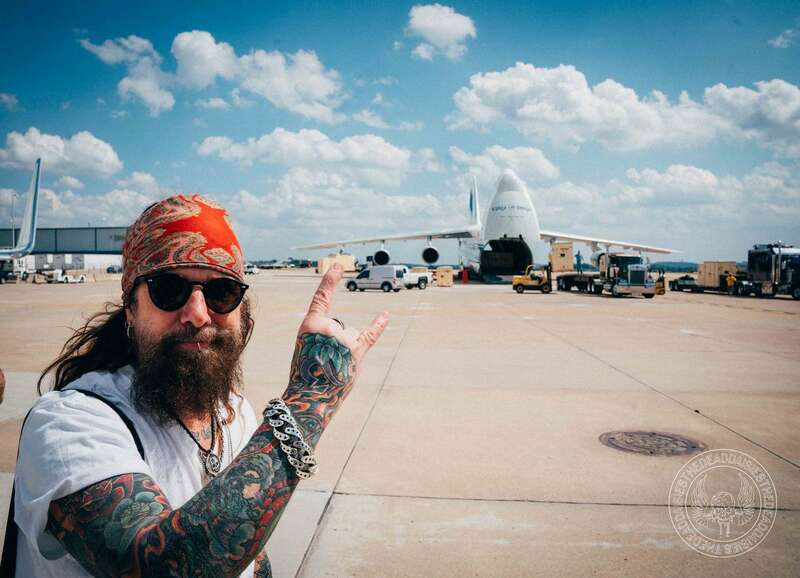 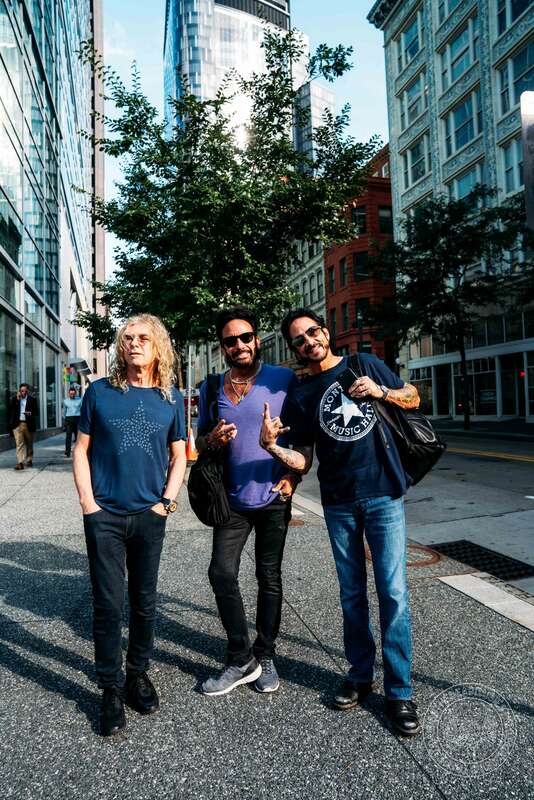 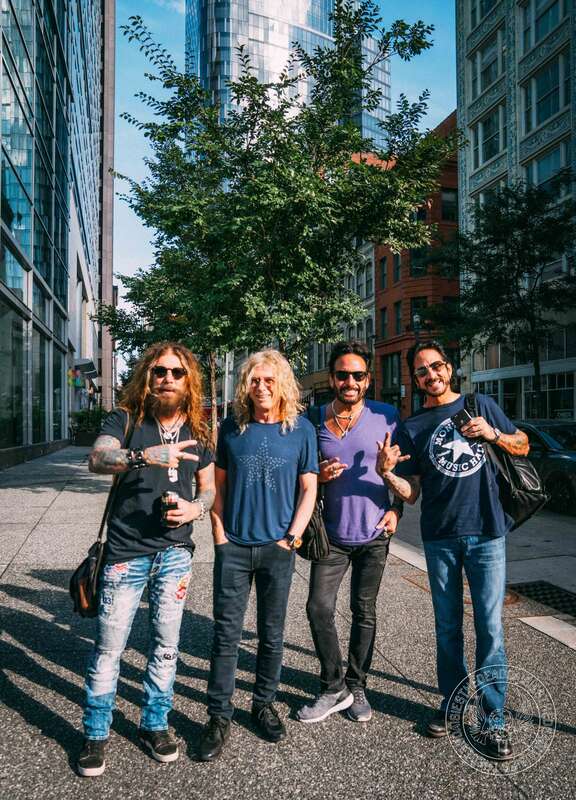 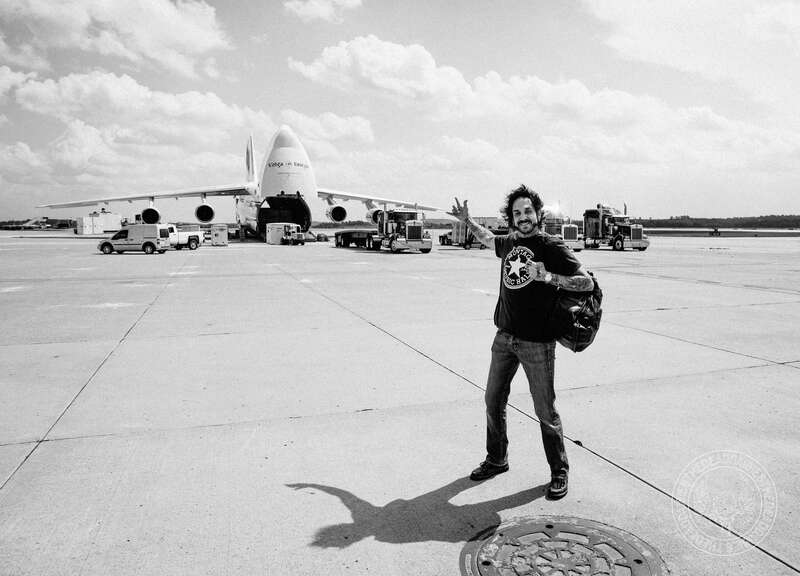 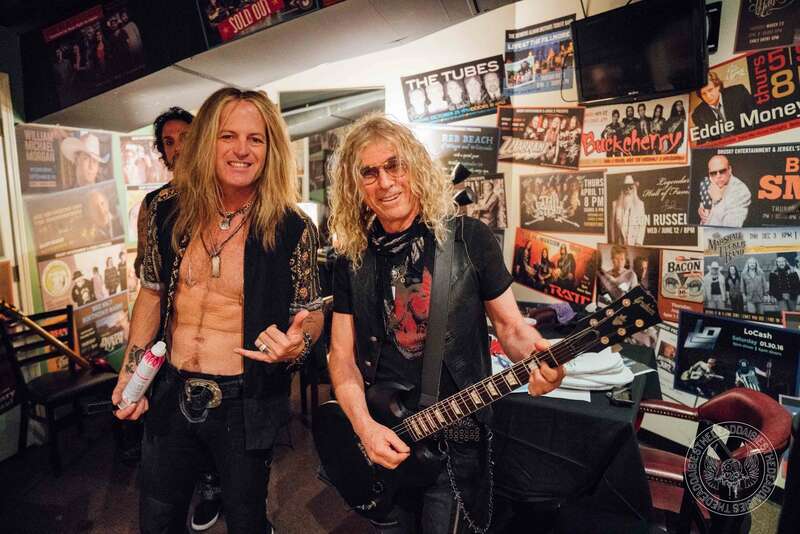 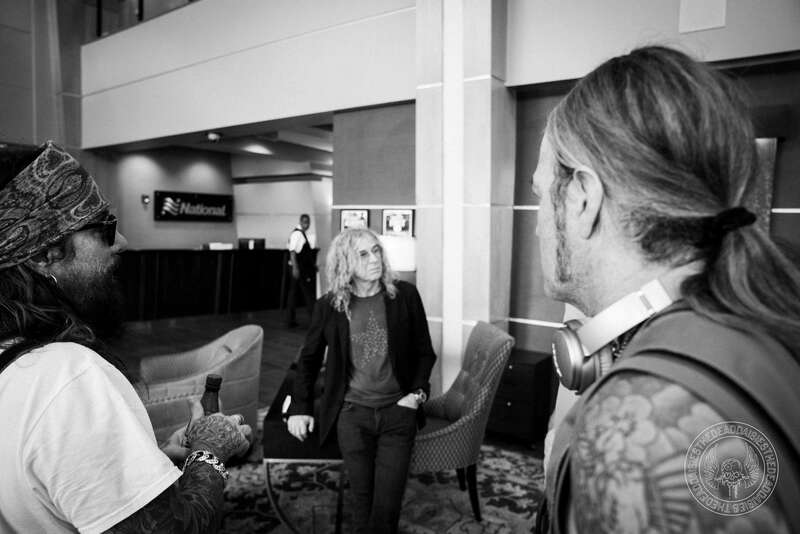 As the tour enters the halfway stages, the band have already covered a considerable amount of miles, and with two weeks to go, as The Dead Daisies song states, there are still quite a few ‘miles in front of me’. 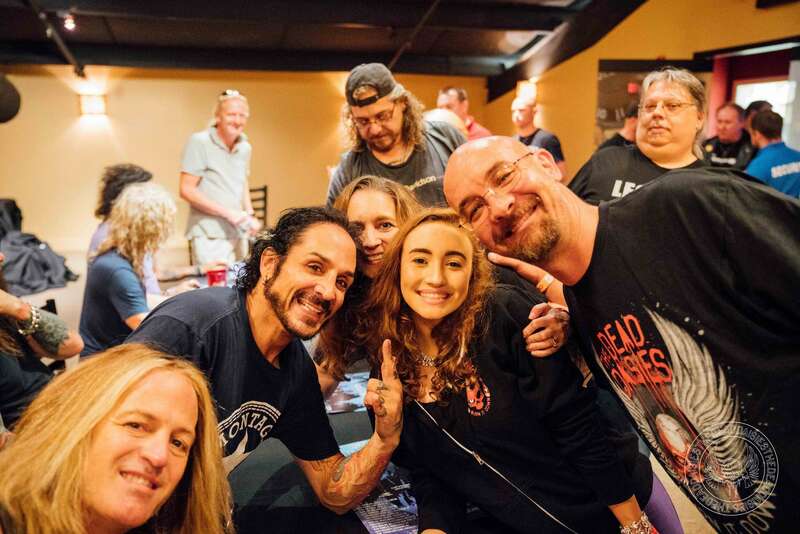 Today the tour bus rolled up into Pittsburgh, better known as the ‘Steel City’ due to its many steel related businesses and as the “City of Bridges” for its 446 bridges. 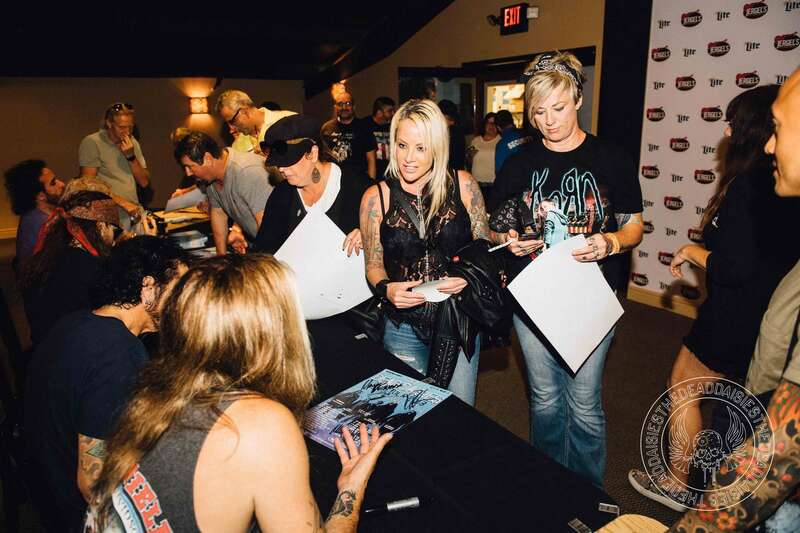 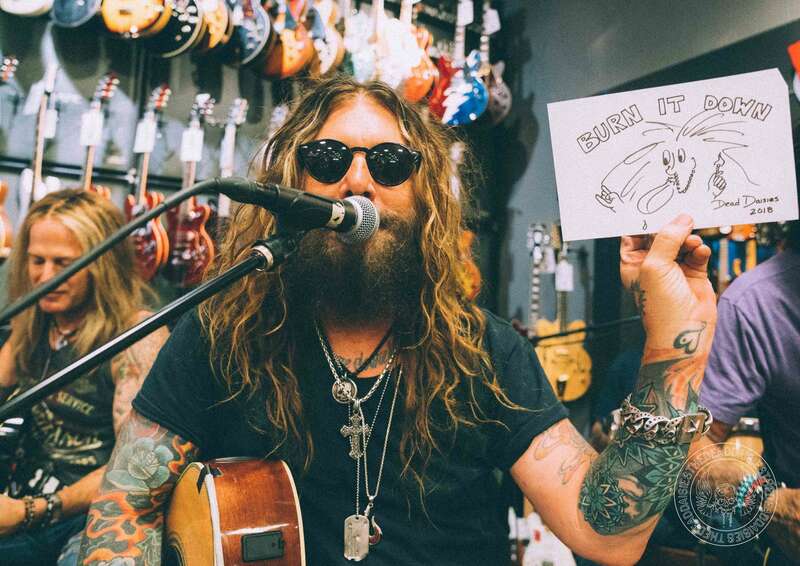 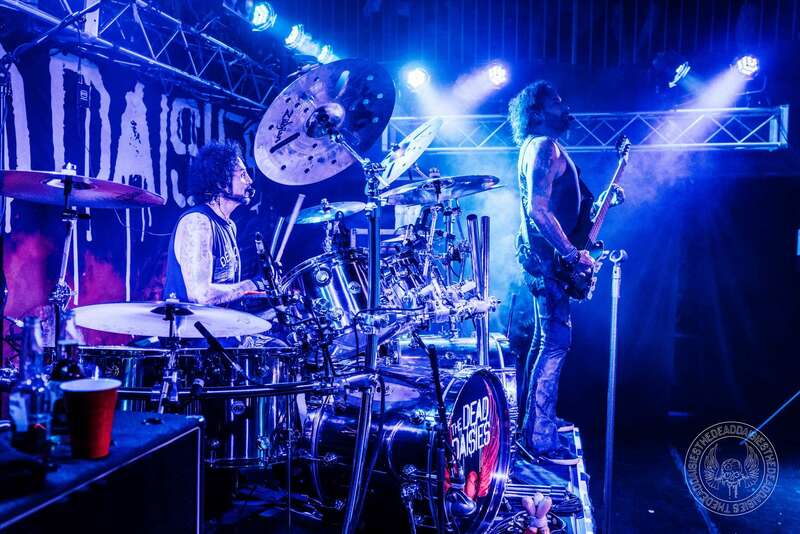 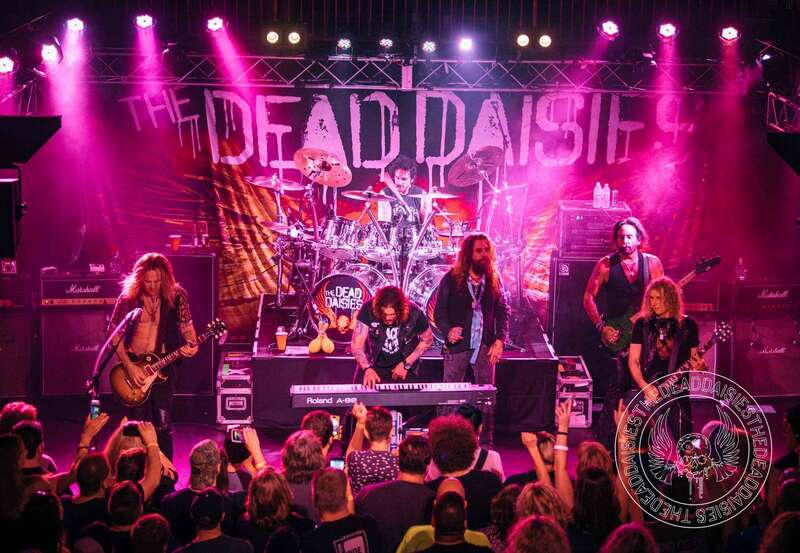 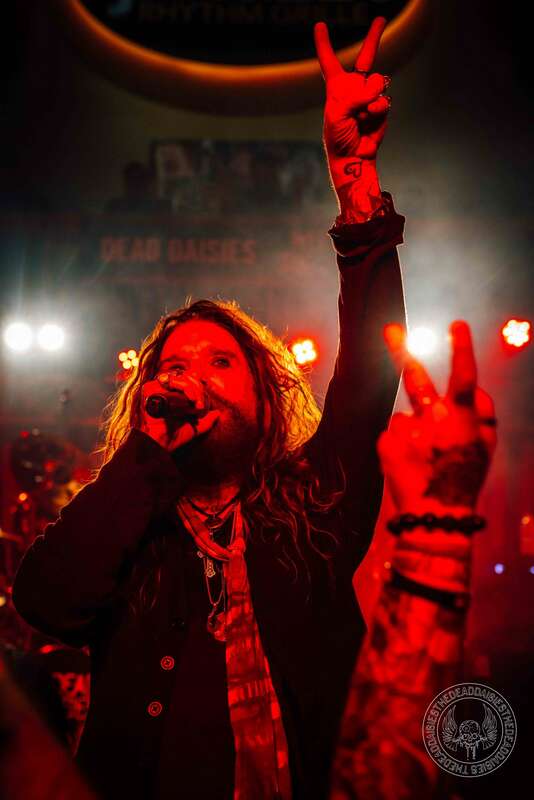 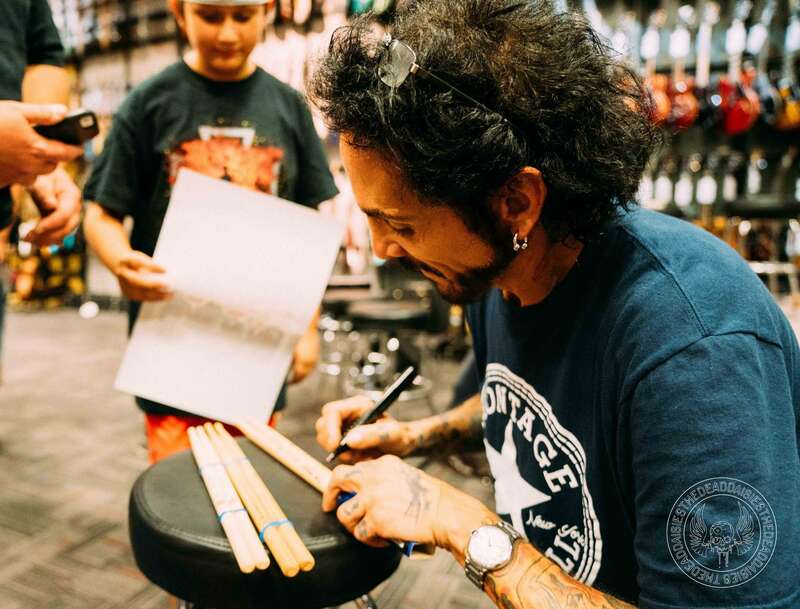 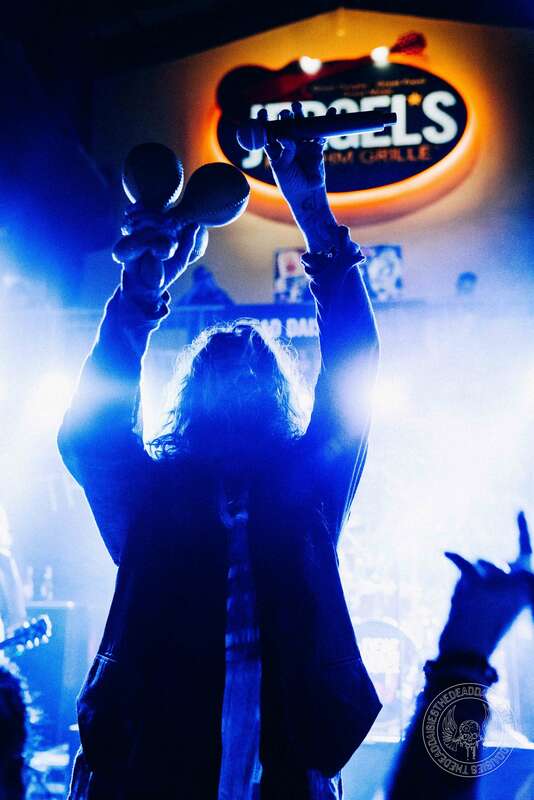 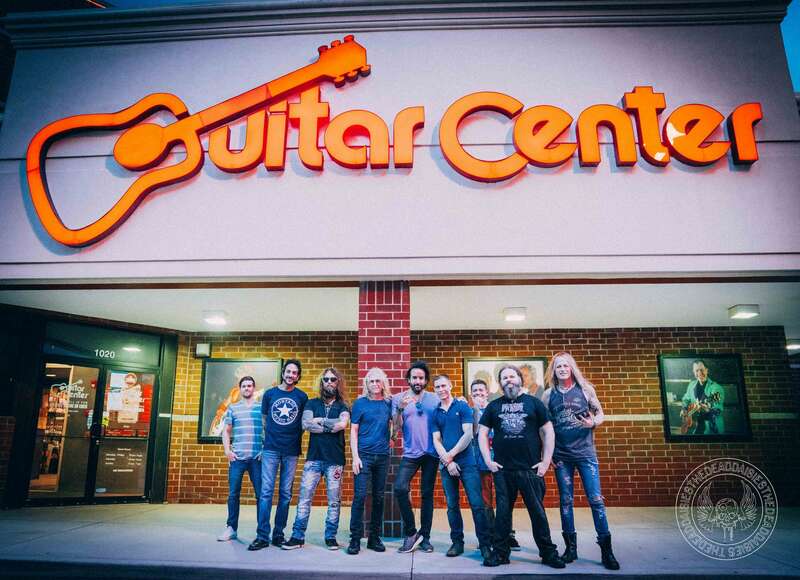 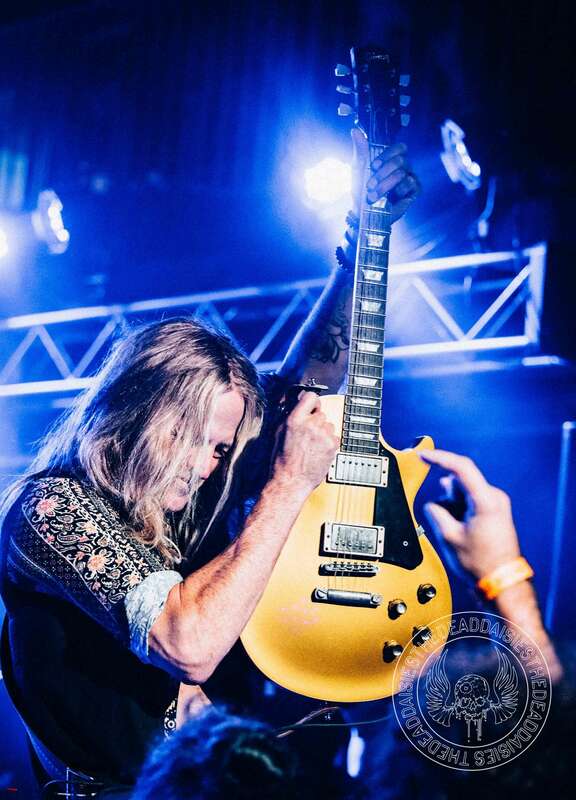 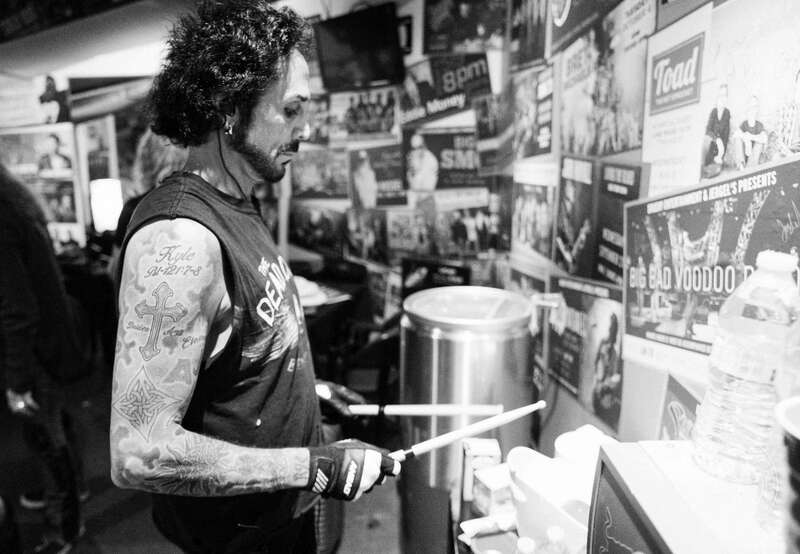 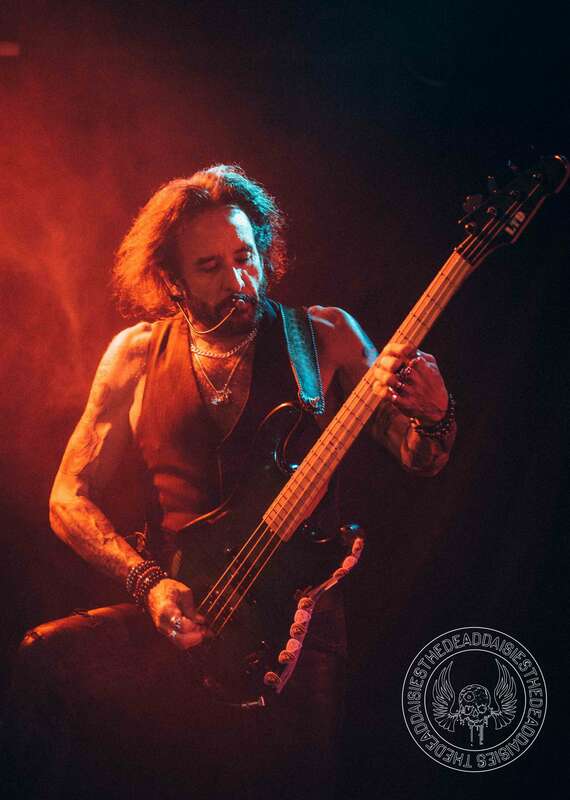 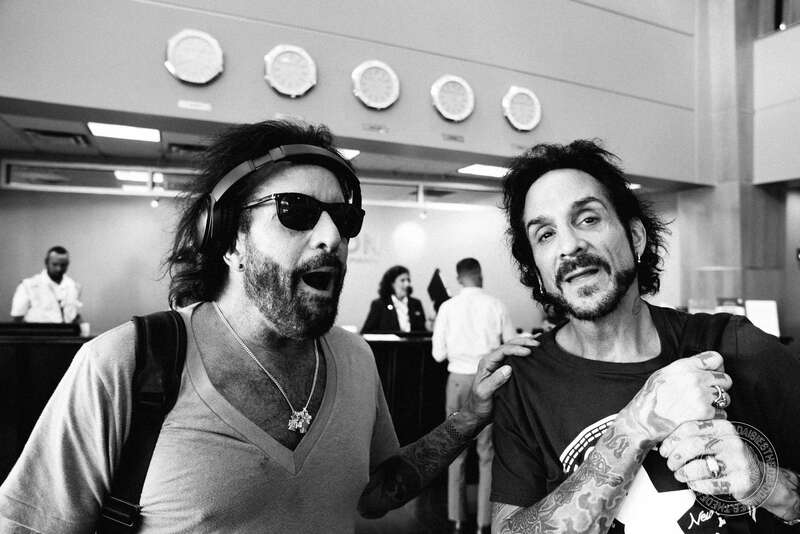 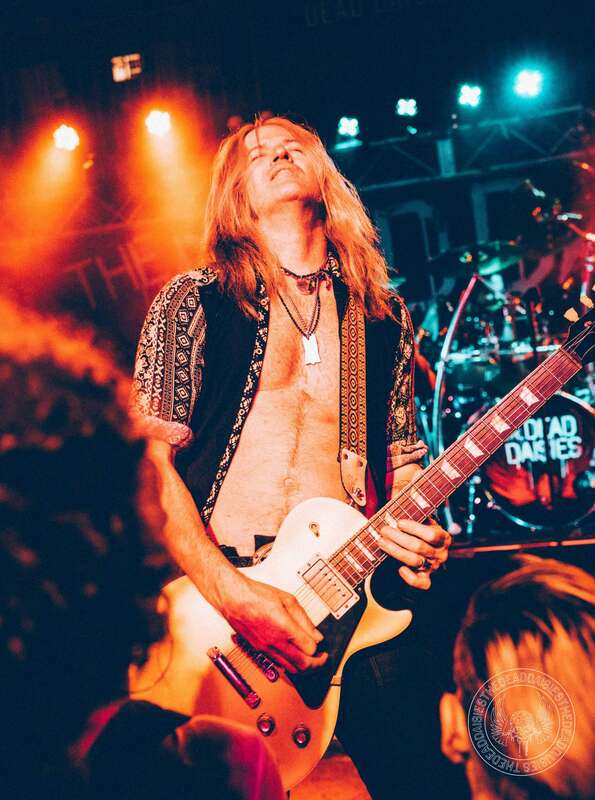 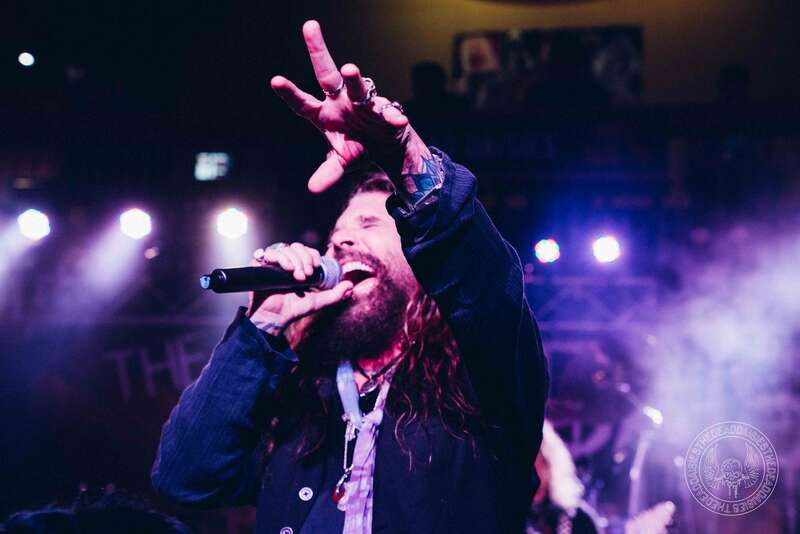 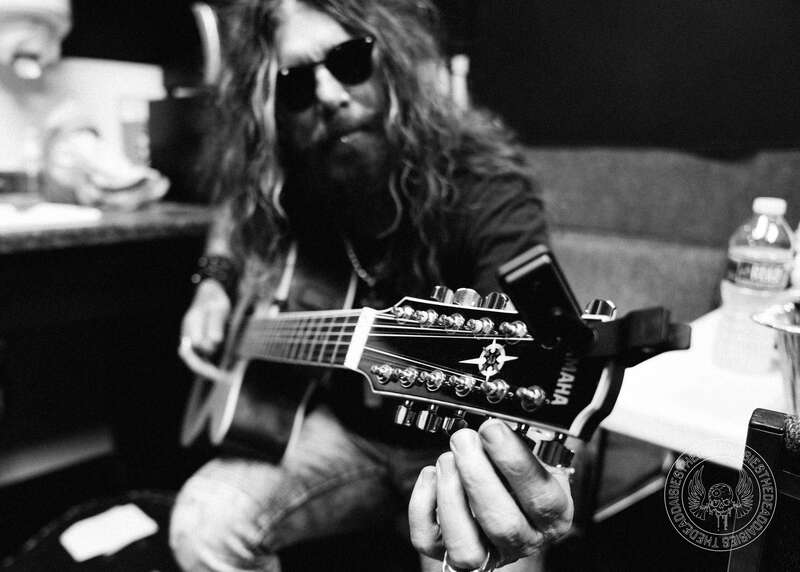 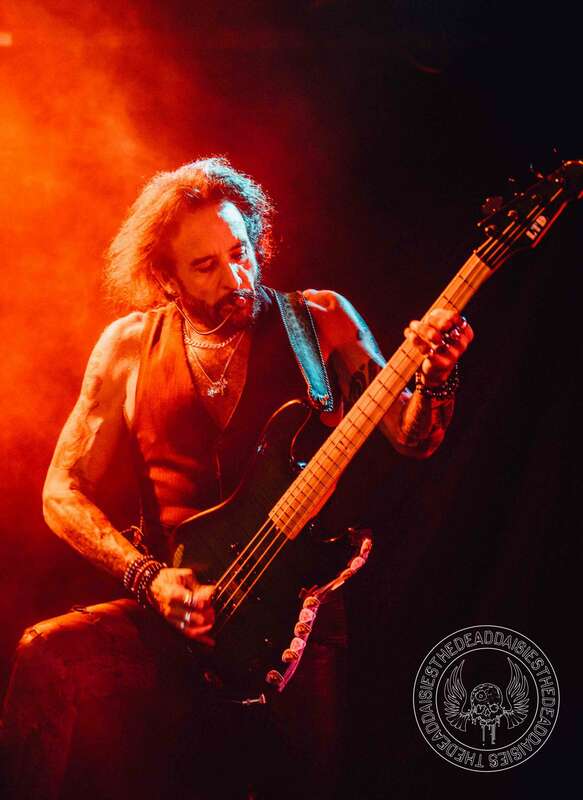 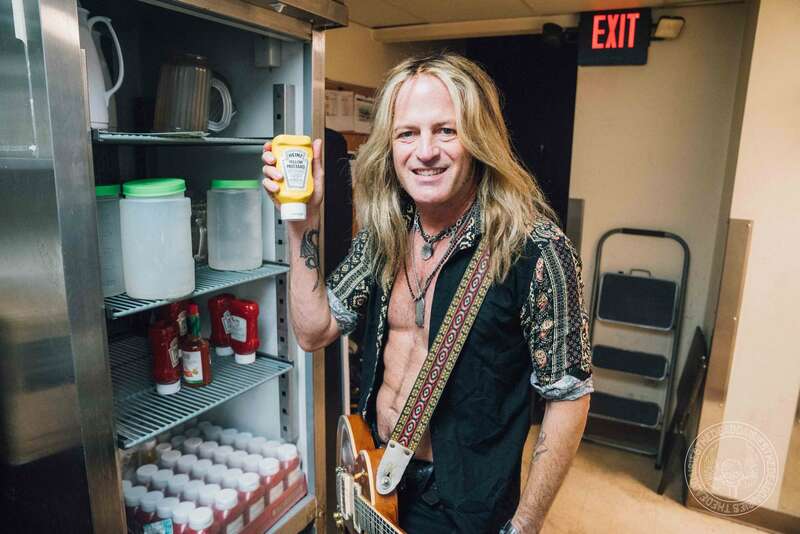 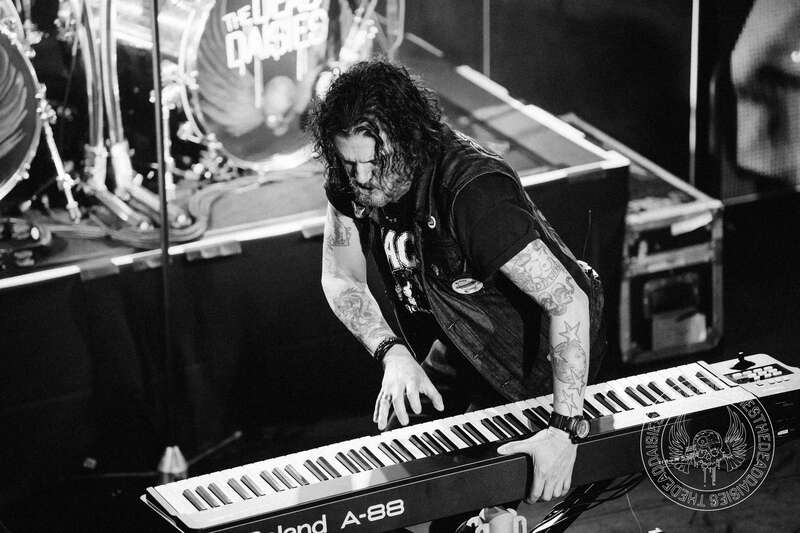 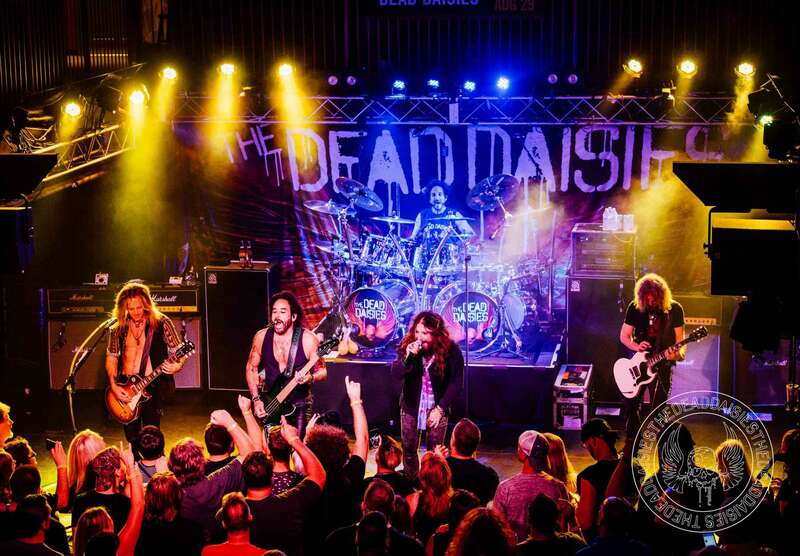 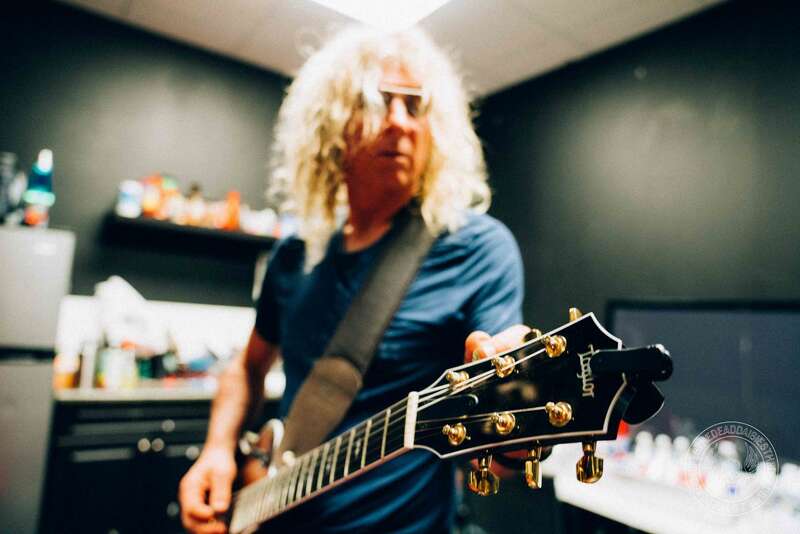 The Dead Daisies are building bridges across America as they work hard to get their music to reach a wide range of new audiences, and one of the building blocks in doing that is the Daisyland shows at local Guitar Centers throughout the country. 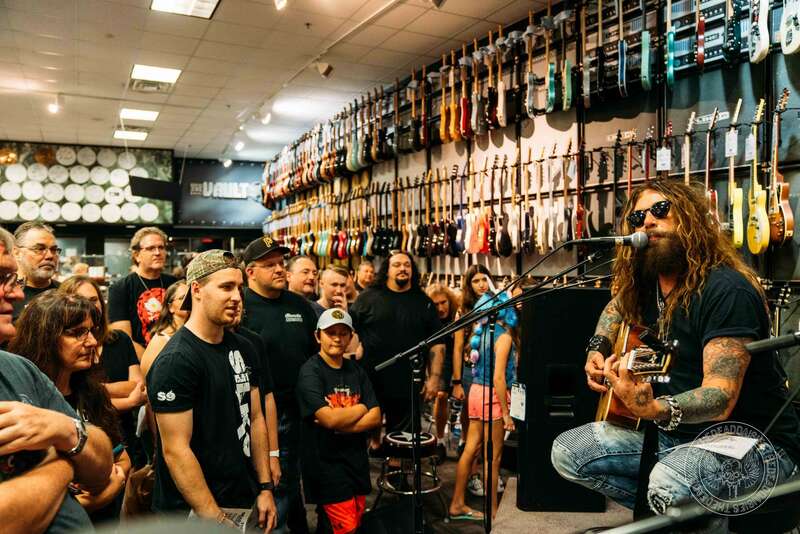 Once again they treated another new crowd to a collection of musical gems with a rendition of The Beatles ‘Let It Be’ standing out as a highlight. 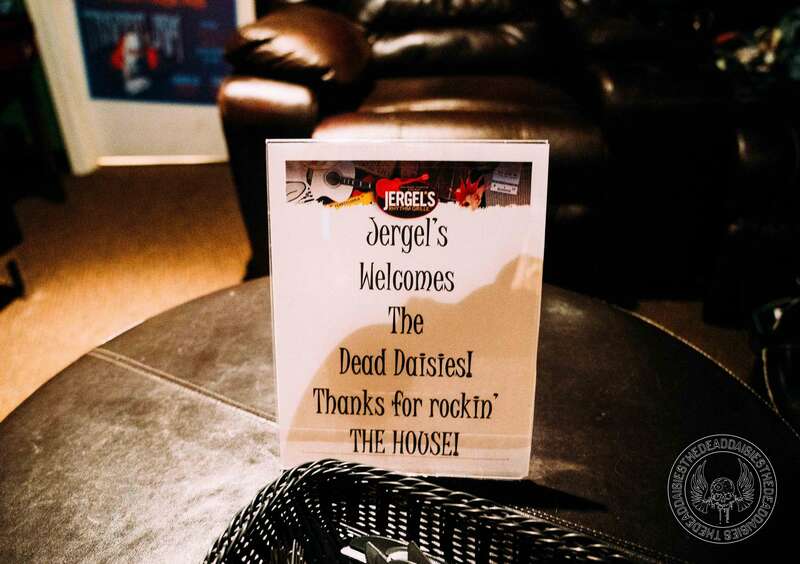 The club where the band would crank it up at night was the Jergel’s Rhythm Grille, a popular stop over for many Rock bands on the touring circuit. 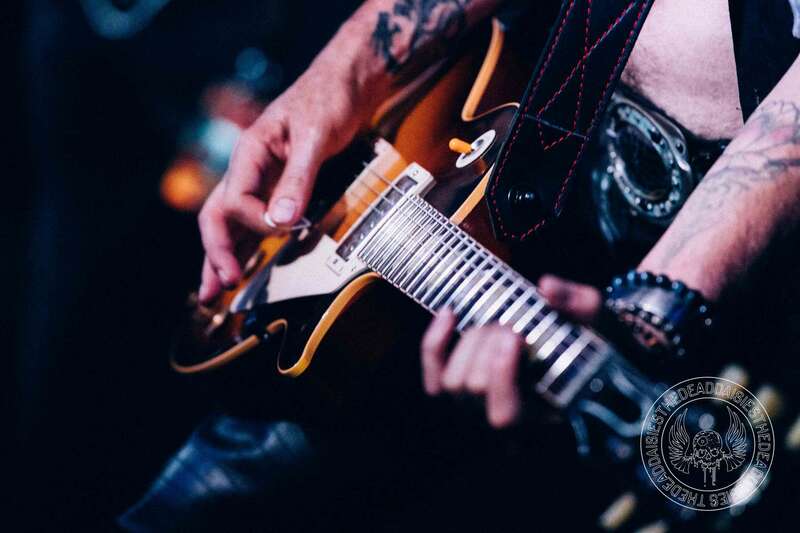 As the Marshall’s buzzed and warmed up, the guitar chords fired into ‘Resurrected’. 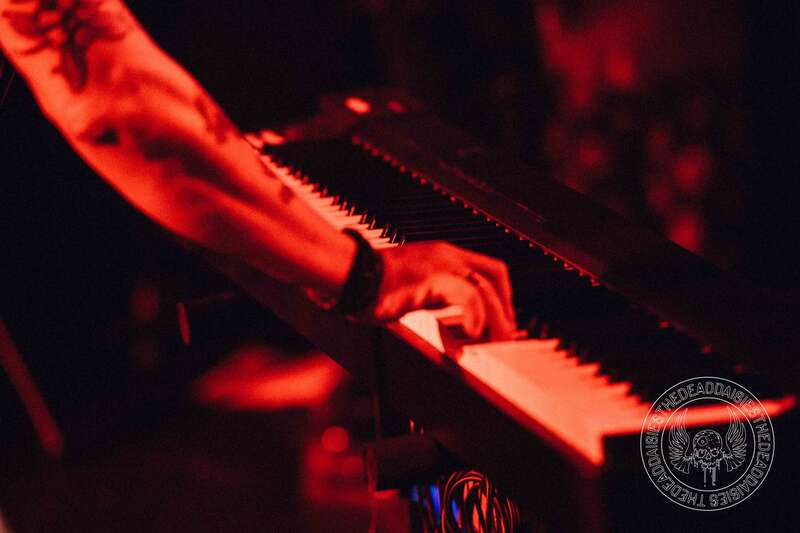 Re-enforced by more solid numbers in the shape of ‘Make Some Noise’, ‘Song and a Prayer’ and ‘Long Way To Go’ complete with fans that just love to lose themselves in the music. 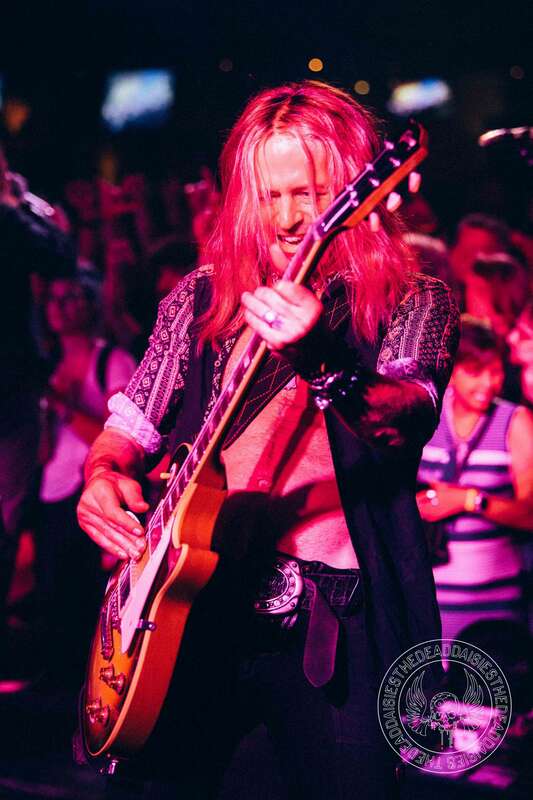 One gentleman stripped to his waist and started swinging his shirt to the music as others punched the air and clapped along at the request of Marco and John. 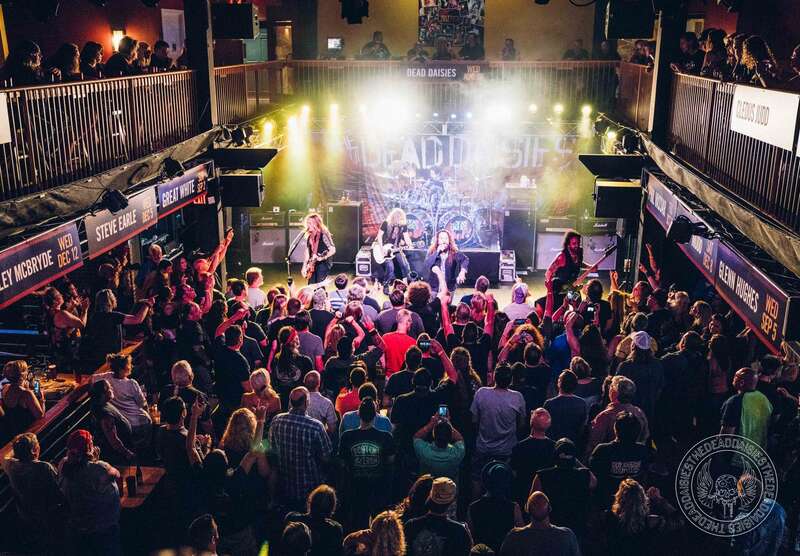 Yet another successful outing for the band as they steadily add to their fanbase across America. 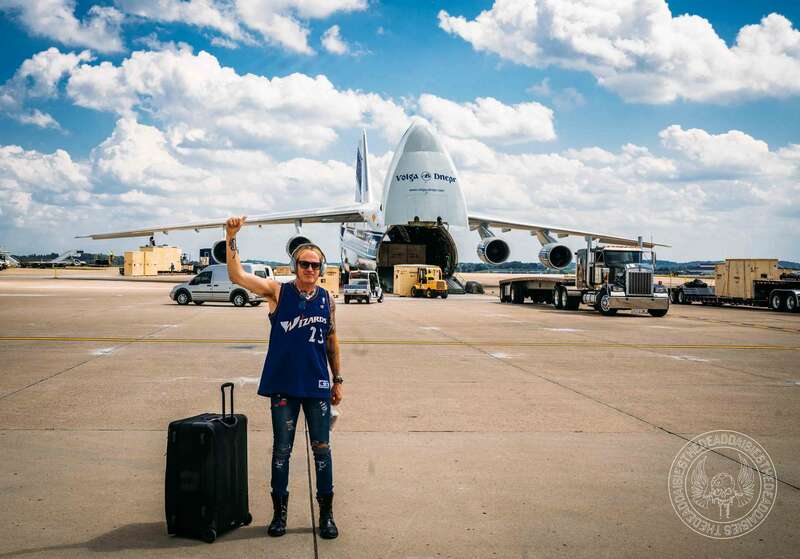 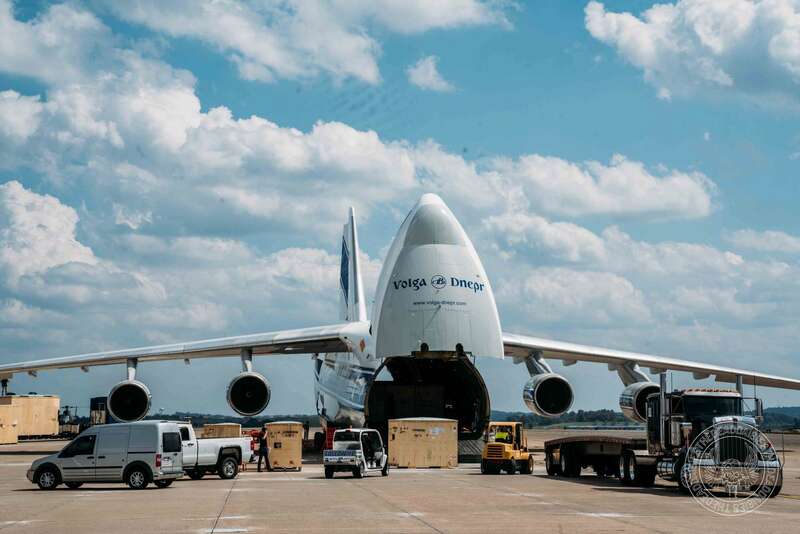 Next stop is Cincinnati. 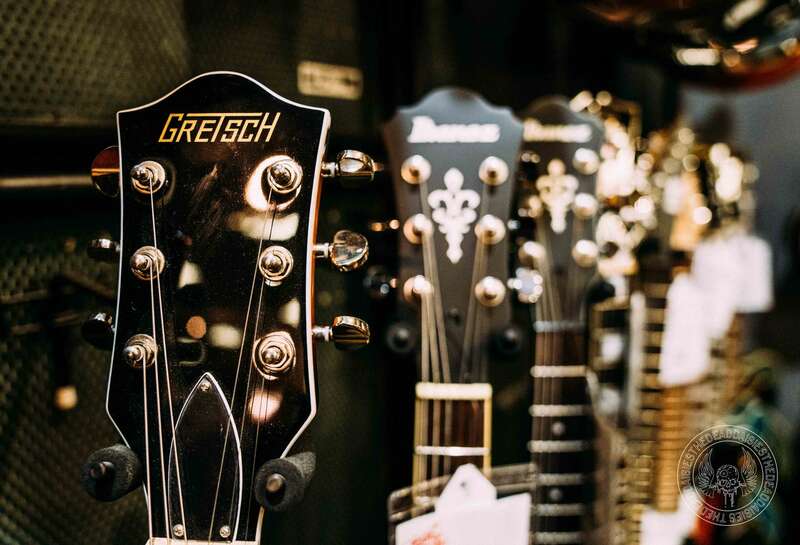 Check the gallery below.